A campaign to request the urgent modification of two HIV-specific criminal statutes in the Dominican Republic has gone viral. I first became aware of the campaign via Twitter (in Spanish) and now ITPC (the International Treatment Preparedness Coalition) has circulated an English translation (see below) and are urging their members to sign on. Please consider joining them by asking President Fernández to repeal HIV criminalisation laws §78 and §79. You might also want to refer him to the Spanish version of the Oslo Declaration on HIV Criminalisation which can be downloaded directly here. The signatories below, which include members of regional networks, non-governmental organizations, community-based organizations, request the urgent modification of Law 135-11 (known as the HIV/AIDS law) for violating the National Constitution as well international agreements that the Dominican Republic has signed up to. Moreover, the law violates the human rights of Dominican citizens, in particular those living with HIV. 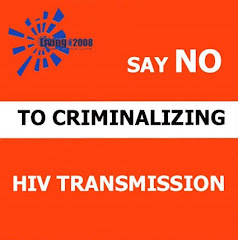 We emphatically reject articles 78 and 79 of the law for promoting the criminalization of the transmission of HIV. Such measures violate the rights of people living with HIV, ignore international good practice, undermine prevention efforts and increase stigma and discrimination. We request a swift amendment to the law and attach UNAIDS policy guidelines on the criminalization of HIV transmission. In the absence of an amendment to the law, we will support Dominican citizens and organizations in condemning the law at the Inter-American Commission on Human Rights and at the Organization of American States. In order to sign the petition, visit this link (in Spanish) and please fill the form above with your Apellido (surname), Nombre (first name), País (country), Correo electrónico (email) and, optionally, the name of your organisation. You can link to, or paste, the Spanish version of the Oslo Declaration, in the Comentarios box. More background on the law can be found on the International HIV/AIDS Alliance blog. This law, and in particular the two aforementioned articles, promote the criminalisation, persecution and seclusion of people living with HIV in the Dominican Republic. It violates their human rights and contradicts a number of international agreements.